As talks on a collective agreement for Malta College of Arts, Science and Technology lecturers remain on hold, they are demanding they be put on the same level as colleagues at the Junior College. The Malta Union of Teachers announced last month that educators at Mcast would be striking following months of discussions. Industrial action was suspended after a judge upheld a request for a warrant of prohibitory injunction following an application by Mcast. The college later dropped the court case. The lecturers’ collective agreement expired in December 2016, and the new union administration reactivated negotiations last July. The teachers’ union accused the Mcast management and the government’s Industrial Relations Unit of being unwilling to give lecturers their due. Lecturers who spoke to the Times of Malta complained that while students were treated on a par with Junior College pupils, the same did not happen to them regarding resources and pay, among other measures. While Junior College lecturers enjoyed a resources allowance, those at Mcast had to supply receipts and, at times, even a bank statement to be remunerated, the Times of Malta was told. An Mcast spokeswoman said when contacted lecturers were informed that among the items agreed upon in principle so far was a €2,000 package in the form of a work resources allowance. The procedure was still being discussed, she added. MUT president Marco Bonnici said the union was still negotiating the allocation of work resources as part of the talks. 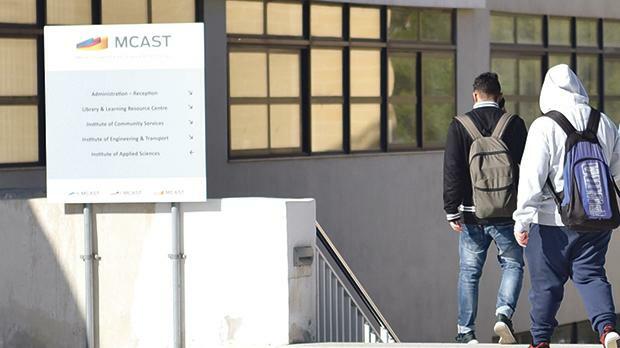 The union is requesting that the mechanism in place be similar to that at the Junior College and the University of Malta, which do not require the extensive paperwork involved at Mcast. In a circular, Mcast informed educators they would receive the same basic salaries as their colleagues at the Junior College within a few years. It said “a significant number of lecturers will reach this by 2018, the rest will reach and exceed this benchmark in the following three years”. Mcast lecturers have also complained that pay for additional work (such as evening classes) some of them signed up for had been delayed by months. The college spokeswoman noted that lecturers were paid according to a system agreed upon with the MUT. “This system also depends on when the relevant paperwork is handed in by lecturers and their relevant institute. “Mcast is adhering to its agreement with the MUT,” the spokeswoman remarked. The MUT denied there was an agreement on this and said it was not acceptable that lecturers had to wait two months or more to get paid for their work. MCAST had to implement a system to address this issue but nothing has happened as yet. Mr Bonnici said the union had several difficulties on the payments issue and it was informed that Mcast would be seeking ways to expedite them. Another shortcoming that has upset the lecturers is low internet speed. Sometimes, they are not even able to send or receive an e-mail and have to carry out part of their work, like communicating with assessors and sending notes to students, from home after work, a lecturer noted. The spokeswoman said Mcast was finalising the technical arrangements and a set-up that should ensure faster Wi-Fi. The technical work needed for this, including laying cables, had already started and should be concluded in the coming weeks, she said.